NOW YOU TOO, CAN RIDE IN THE P-51 MUSTANG! Fly in the P-51 Mustang that competed in the Reno Air Races. Listen to the famous roar of the Merlin engine. Now no matter how far away you are, you can always visit us. Memorable and one of a kind collectables exclusive to the Palm Springs Air Museum. Become a member today to save on admission and invitations to member-only events. Memberships start at $75. Sign up to receive information about upcoming events and special exhibits straight to your inbox! 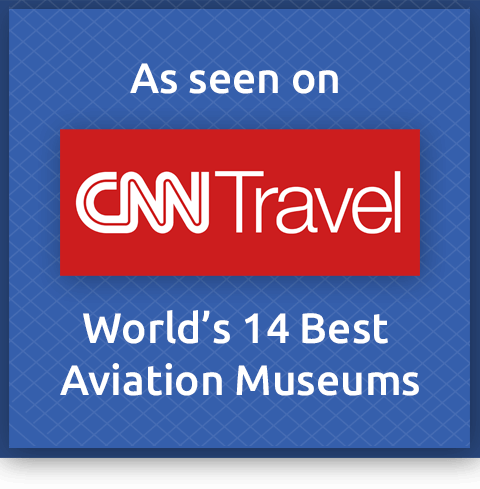 The Palm Springs Air Museum is a living history museum dedicated to educating the public about the role Air Power played in preserving American liberties and way of life. The Museum preserves, exhibits, and flies aircraft from World War Two, Korea, and the Vietnam Wars. Most of the aircraft are in flyable condition.